The new issue is of Britain’s best-selling outdoors mag is out on Thursday 28th and quite possibly our favourite yet, full of amazing stories and wonderful walks, and a free 32-page guide to summer walking gear! It’s also bursting with #walk1000miles stories, competitions and five new mini-challenges giving you the chance to win a money-can’t-buy golden #walk1000miles badge. 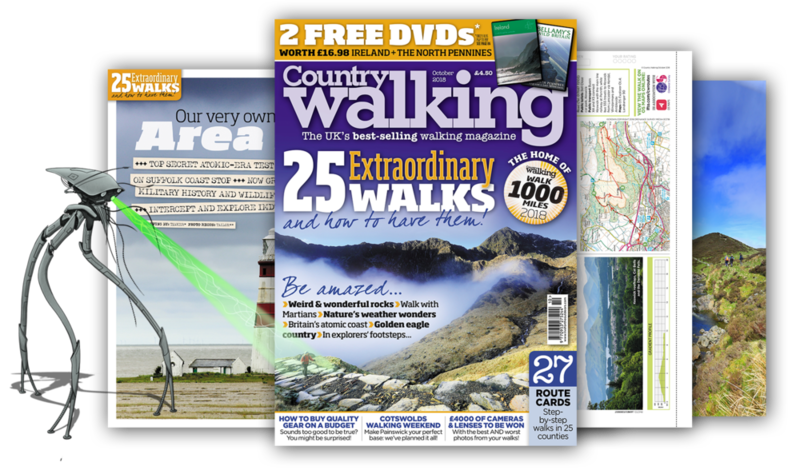 Find out why it’s the UK’s best-selling AND fastest-growing walking magazine, three years in a row! The new issue is of Britain’s best-selling outdoors mag is out this week and it’s a Coast to Coast special! But not just the world-famous Wainwright-penned trail – Wales’ epic coast to coast (which deserves to be just as well known) too! It’s also bursting with #walk1000miles stories, competitions and five new mini-challenges giving you the chance to win a money-can’t-buy golden #walk1000miles badge. Find out why it’s the UK’s best-selling AND fastest-growing walking magazine, three years in a row! Country Walking February 2019: #walk1000miles launch pack! The biggest-ever issue of the biggest-selling walking magazine is goooooo! Brilliant winter weekends from Britain’s best-selling walking magazine – whether you’re a hill or valley, town or country, Wordsworth or Withnail kind of person! Britain’s best-selling walking magazine’s is a seasonal pub walk special, complete with pub quiz and game! Country Walking November 2018: Walk glorious autumn... and ghoulish halloween! Britain’s best-selling walking magazine’s new issue is golden, gothic… and geary! Britain’s best-selling walking magazine brings you 25 walks to rock your world! It’s all here! Britain’s best-selling walking magazine’s A-to-Z of the countryside! Country Walking August 2018: Escape to the country! Britain’s best-selling walking magazine has a twin-pronged plan for you to get away from it all at the height of summer – plus a FREE family walking guide! Country Walking July 2018: The COAST special! 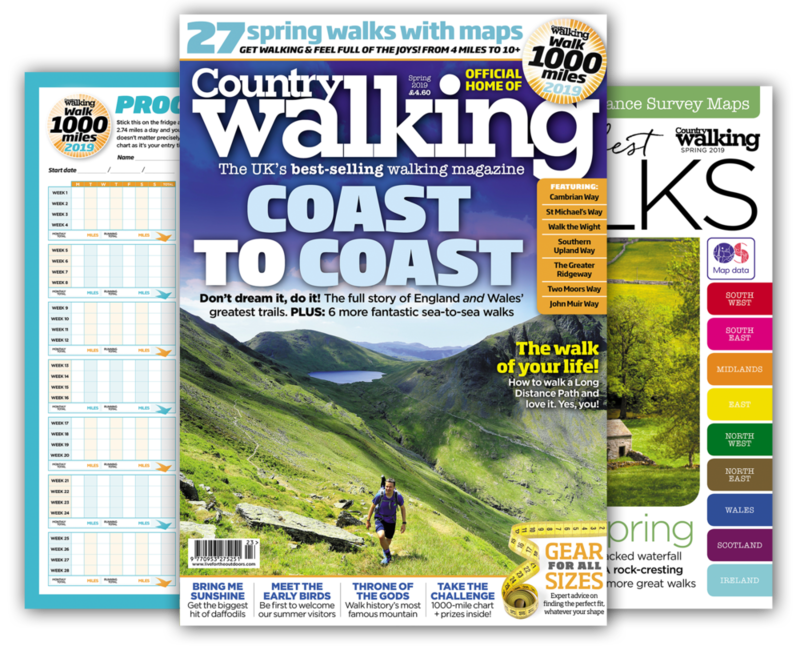 The best-selling (and fastest-growing) walking magazine has a new COAST special you can order now! Country Walking June 2018: Scotland's missing manual! 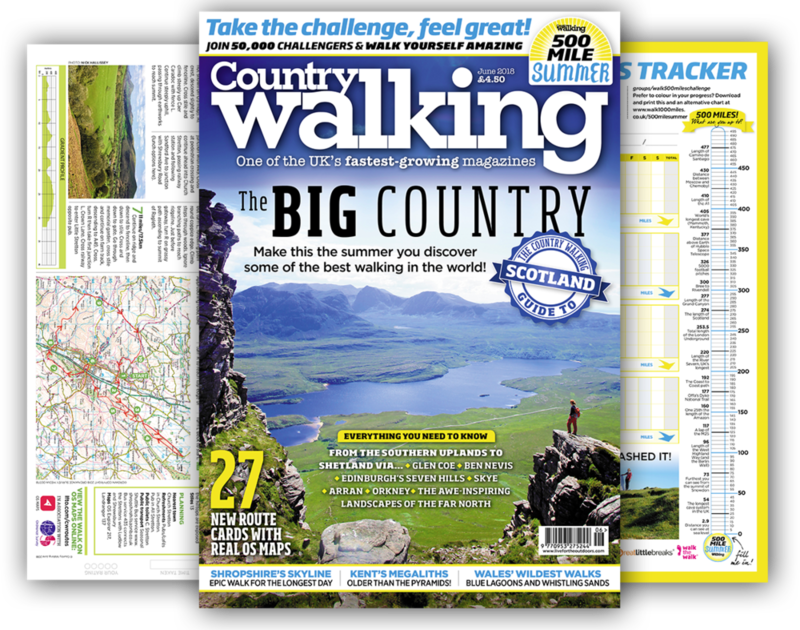 The best-selling (and fastest-growing) walking magazine on the most beautiful country in the world! Country Walking May 2018: An instant classic! The best-selling (and fastest-growing) walking magazine is back with a fresh take on the classics. Pre-order now with free 1st class P&P. The best-selling mag on the most beautiful National Park – with FREE 32-page magazine on buying gear... and huge OS exclusive! Country Walking Spring 2018: Walk Britain's marvels! Grab the new marvellous new issue of the UK's best-selling outdoors magazine – now officially one of the fastest-growing magazines in the UK too! Country Walking March 2018: We love walking! Grab the new bumper new issue of the UK's best-selling (and fastest-growing) outdoors magazine and fall in love with the best hobby in the world! Grab the new bumper new issue of the UK's best-selling (and fastest-growing) outdoors magazine and get all your #walk1000miles launch clobber free! Grab the new beautiful new issue of the UK's best-selling (and fastest-growing) outdoors magazine and walk through winter wide-eyed with wonder! Grab the new beautiful new issue of the UK's best-selling (and fastest-growing) outdoors magazine and get a Christmas message from the Queen! Grab the new stunning issue of the UK's best-selling (and fastest-growing) outdoors magazine and enjoy a deep dive into walkers’ favourite season. Grab the latest issue issue of the UK's best-selling (and fastest-growing) outdoors magazine and set sail on the high seas of ancient history, using the simplest of time-travelling devices: the footpath.